Hello London! It wasn't my first time , but every time I visit London, I fall in love with this magic city all over again ! The people, the shops, the red busses, … LOVE ! We arrived at our Base camp : Braderie Zédel. When I first arrived I thought it was just the café on the ground level, but then we headed down the stares and I was in awe at how huge the place was. It was very Paris-like . 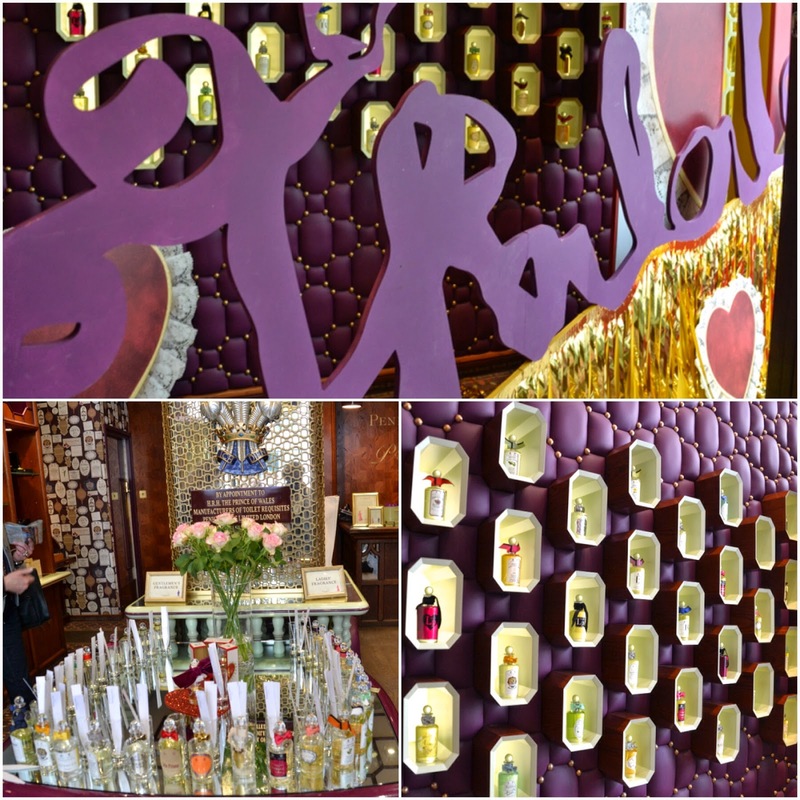 We visited the Penthaligon's shop where we picked up our travel atomiser from their latest perfume called Tralala. The shop is so magical with the purple color and all the pretty perfume bottles. 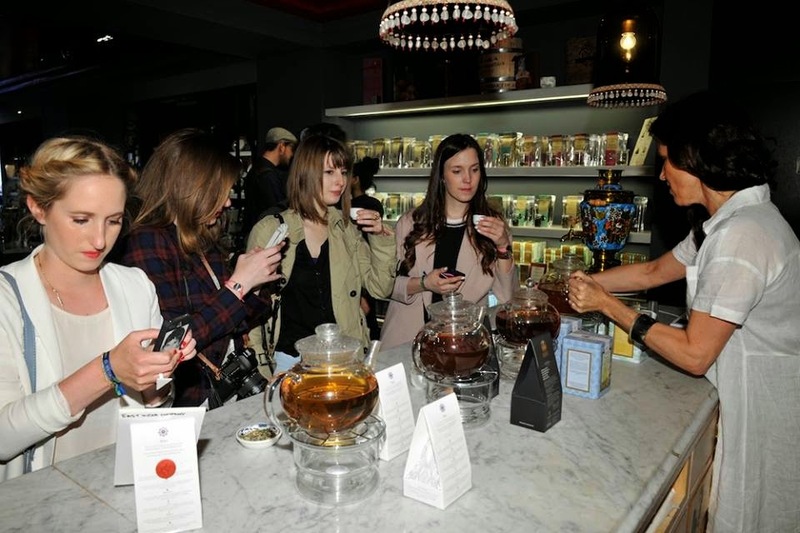 We then headed over to East India Tea Company to sample their delish new tea assortment and picked up a goodie bag with their latest tea releases. 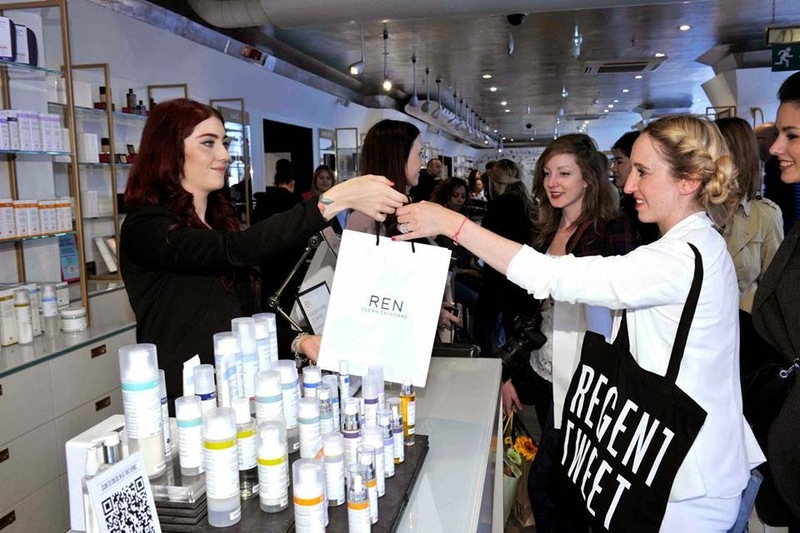 We, bloggers, were spoiled at the REN skincare counter from Liberty London. 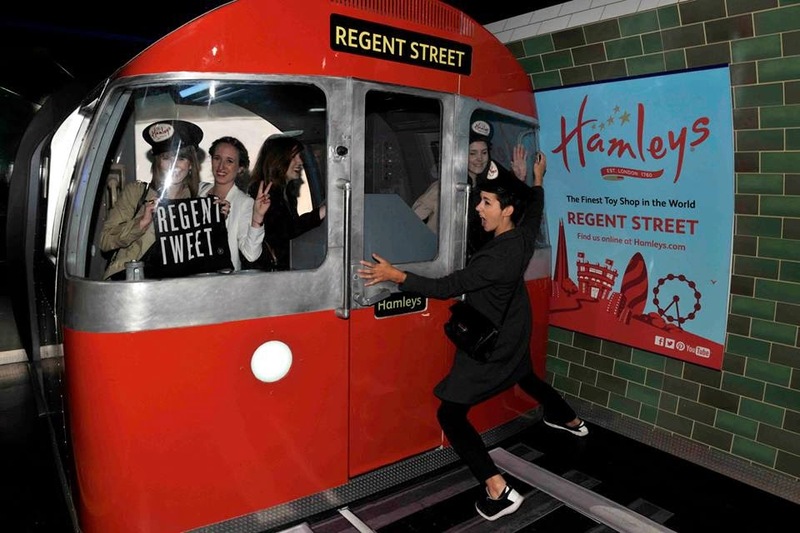 Fun timed at Hamleys were we picked up a goodie bag with a fluffy teddybear and posed in the subway setup. All the cameras and several TV scam era's where present to film and photograph all the bloggers for 5 years Rgent Tweet. Lunch is served. 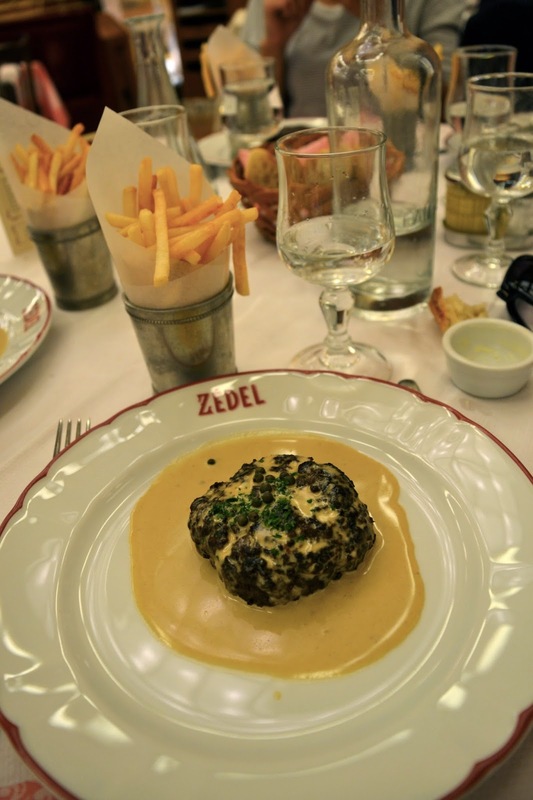 All the Regent Tweet bloggers were spoiled with a 3-course lunch at Brasserie Zédel. 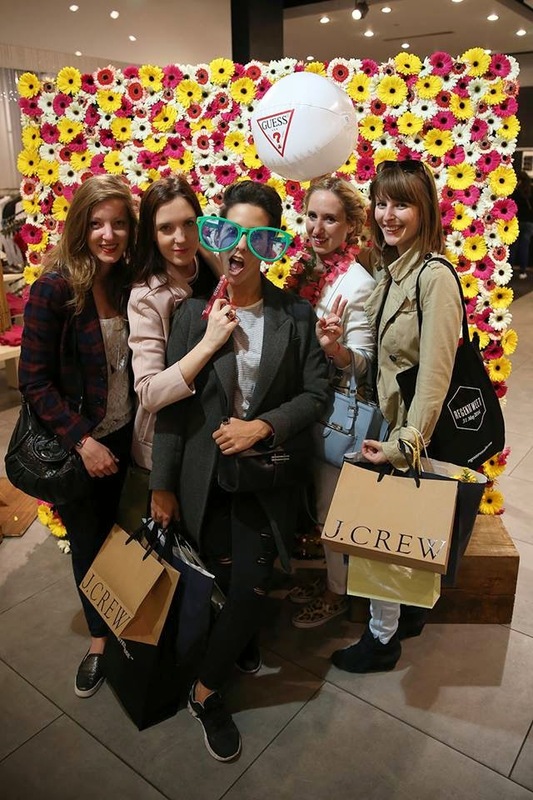 Picking up our goodie bags at Armani Exchange, Crabtree and Evelyn where we wrote a lithe life lesson on their flower wall. After all that shopping and carrying all the goodie bags (not complaining ;-) ) we headed over to rooftop bar Aqua London to enjoy a complementary glass of Champagne ! Perfect ending to a perfect day ! 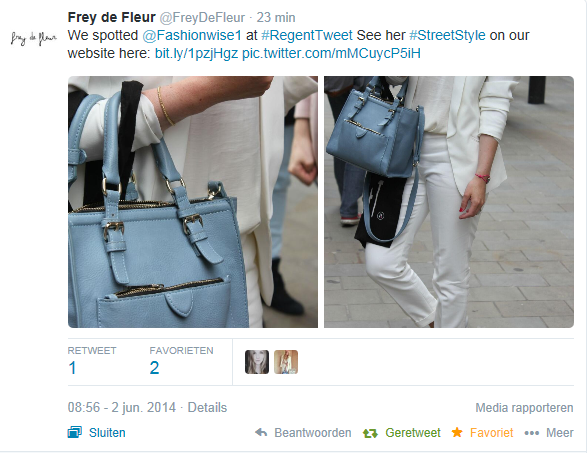 Press : spotted by Frey De Fleur website where they featured me on their street style section. 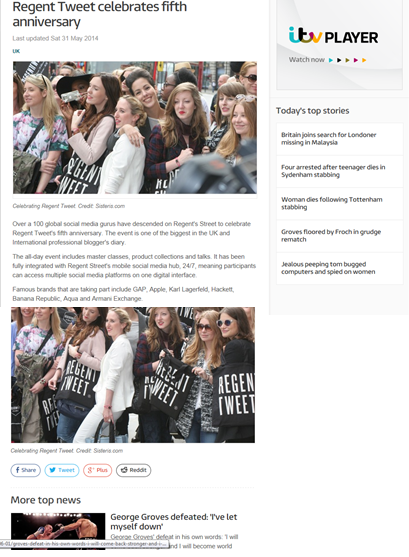 Yess, it was a lot ;-) You can tell that we were pretty spoiled as a Regent Tweet bloggers in London . 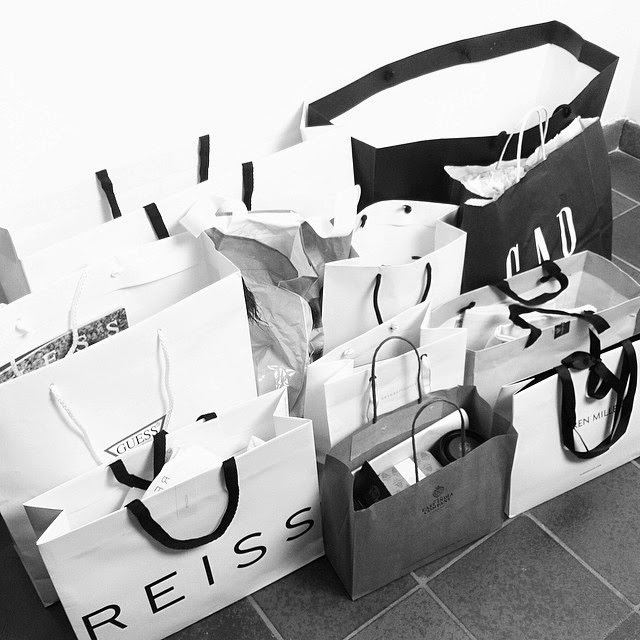 Stay tuned for my Shoplog ! 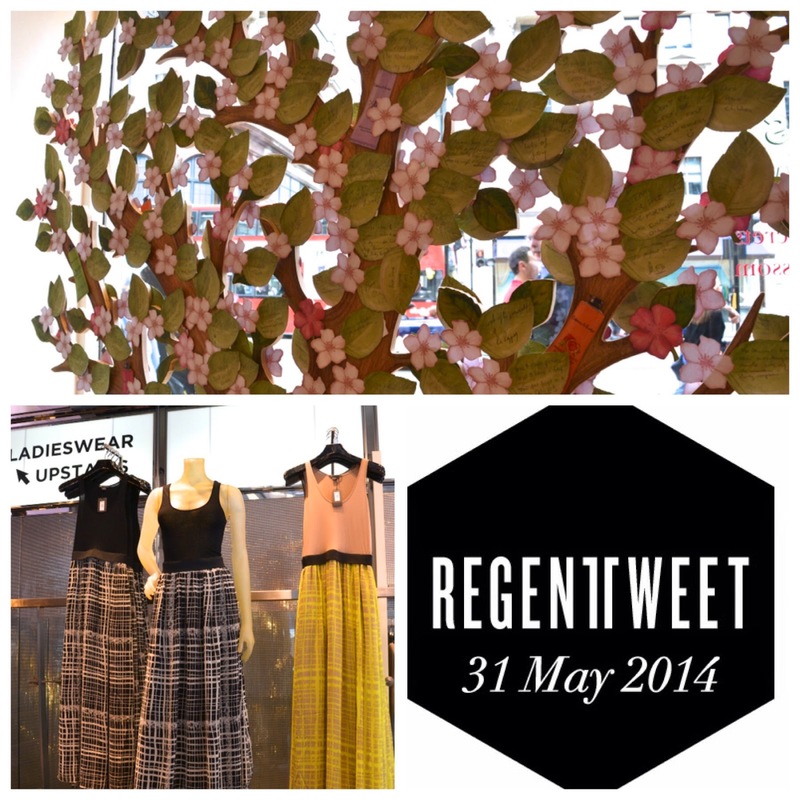 special thanks to Regent Tweet, Regent Street, Eurostar ! Thanks for your comment on my blog. Would you like to follow each other? Let me know. London is a beautiful city, every time I go there I always discover new things. Hello dear stay in touch. wow wat een fantastisch evenement waarop je uitgenodigd was! Leuk verslag! Oh my! 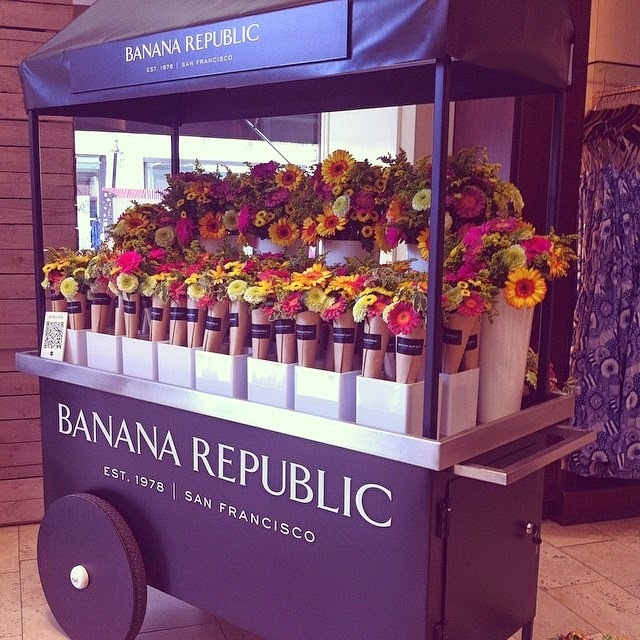 I'd love to go there too! You don't know how envy I am right now! 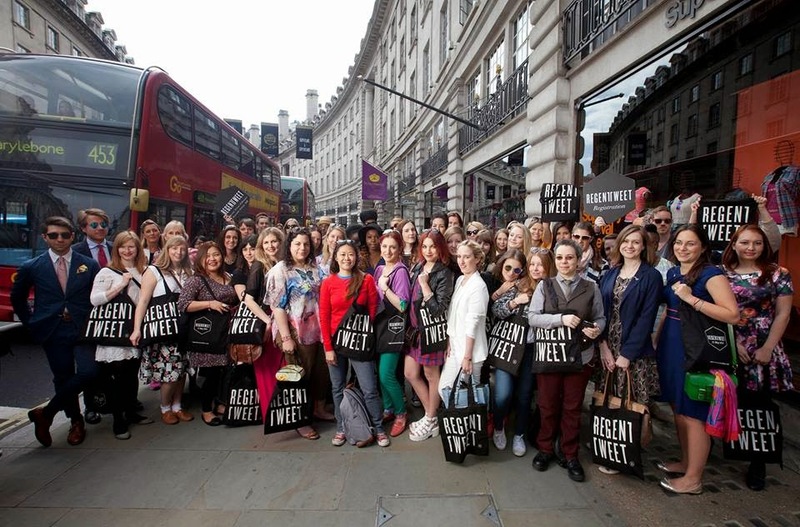 You inspired me to be a good blogger so I can be a part of this someday! Wow this looks like such a fabulous event to participate in! 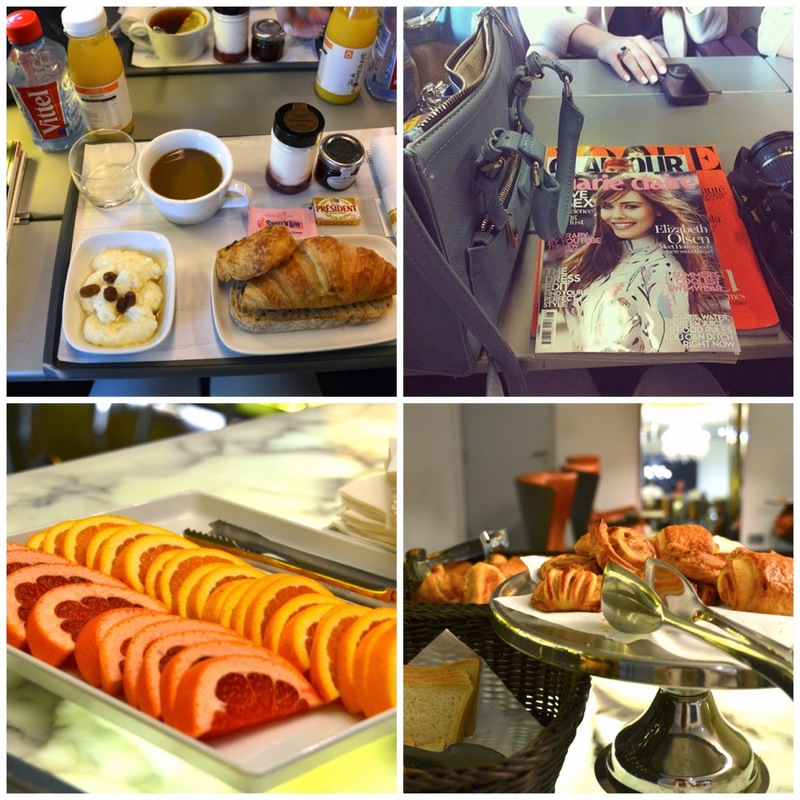 You're so lucky that you got to have such a wonderful time with some fellow bloggers at such lovely spots :) I only I hope I can visit London someday soon and have similar adventures! 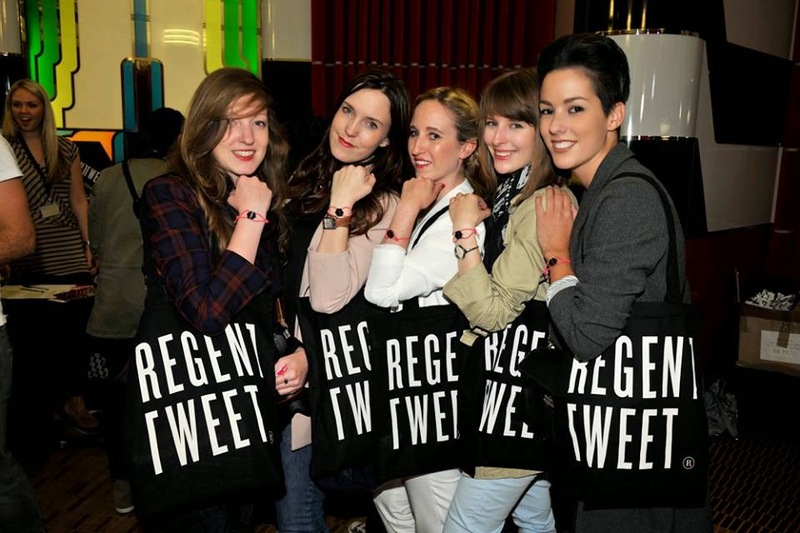 OMG you really made it to REGENT TWEET?! Amazing! I've seen a lot of pictures and information about the event because a blogger of my country, Mexico, was there! By the way, London is always a good idea! Been there in April, and I'm dying to come back! you're so lucky, congrats! Yes! She even got a shoutout because she travelled for 20 hrs!!! You should participate alos next year ! would love to meet you ! Hi, I'm your biggest fan! 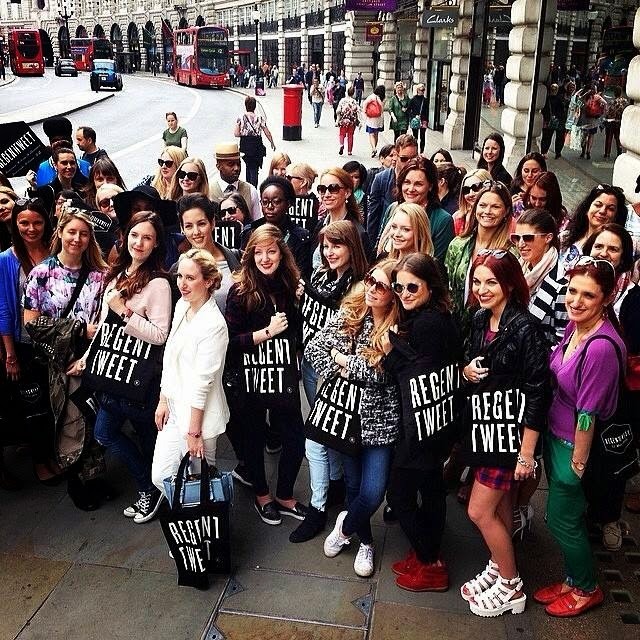 the bestie and I spotted you on the streets of London but I was too shy to say hi ... You're such an icon ! Are you doing a meet & greet anytime soon? would love to meet you! Woow this is a lovely event, you look amazing. Hello dear thanks for the comments, if you like and have time passes for the new post. Keep in touch.